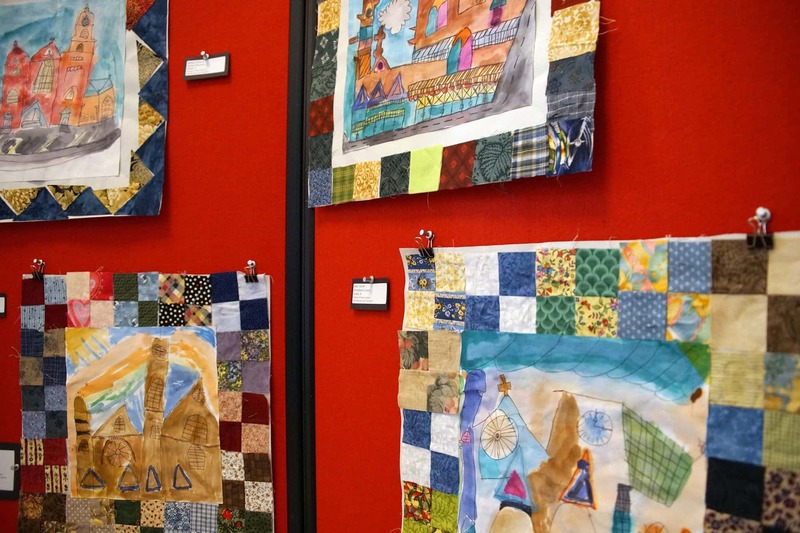 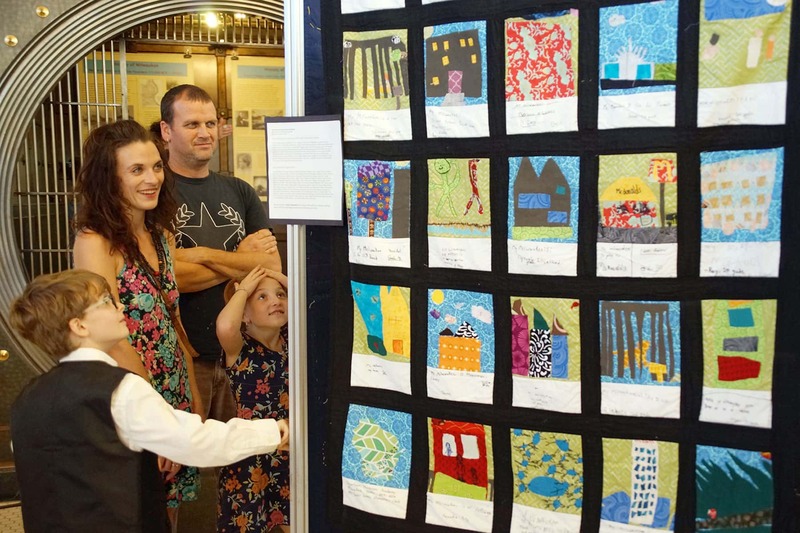 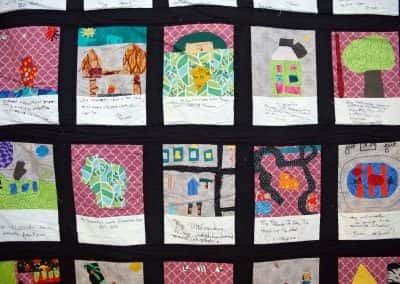 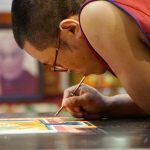 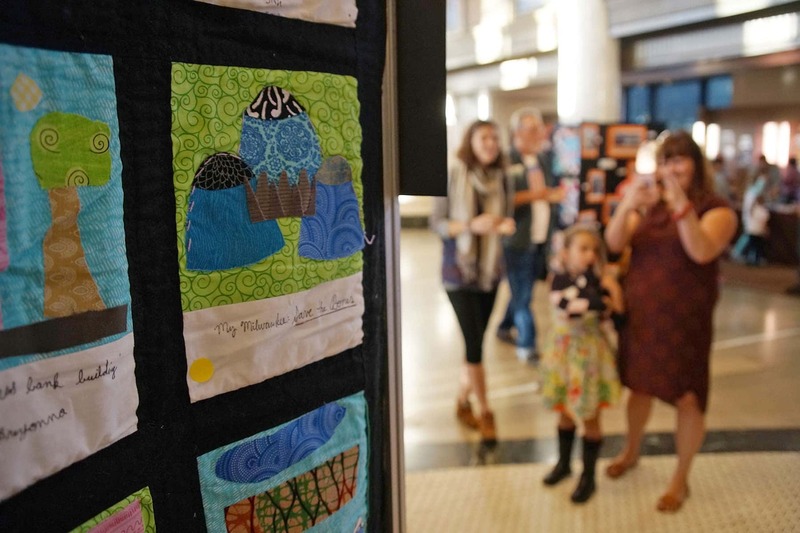 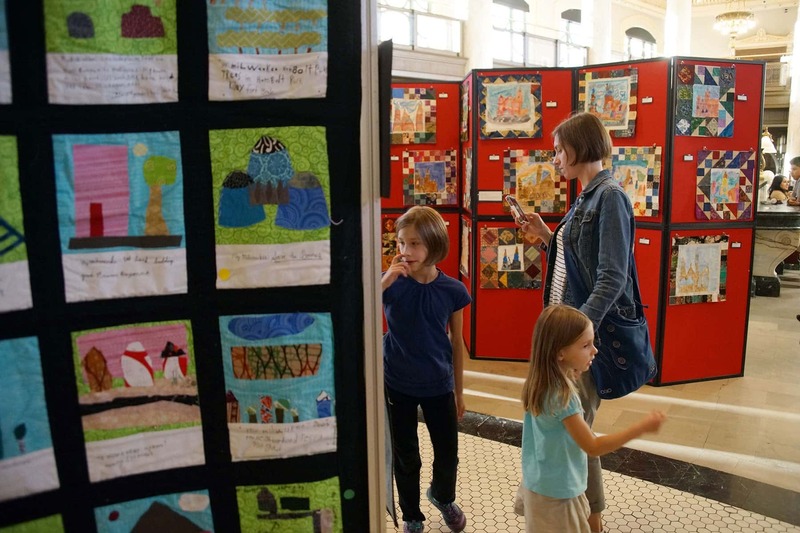 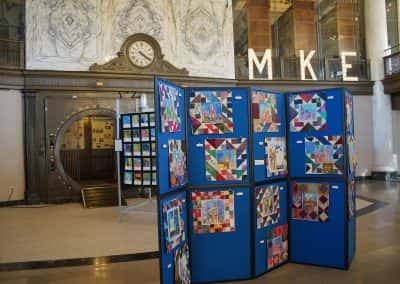 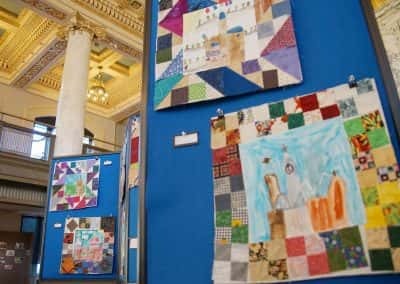 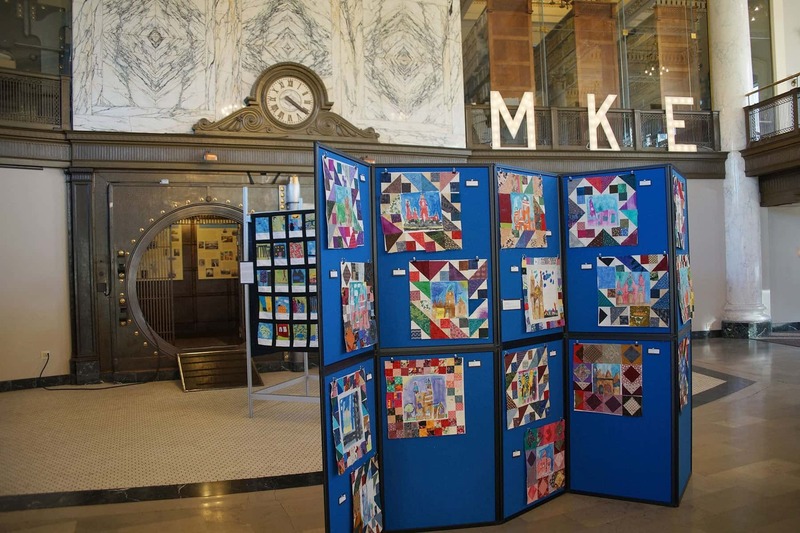 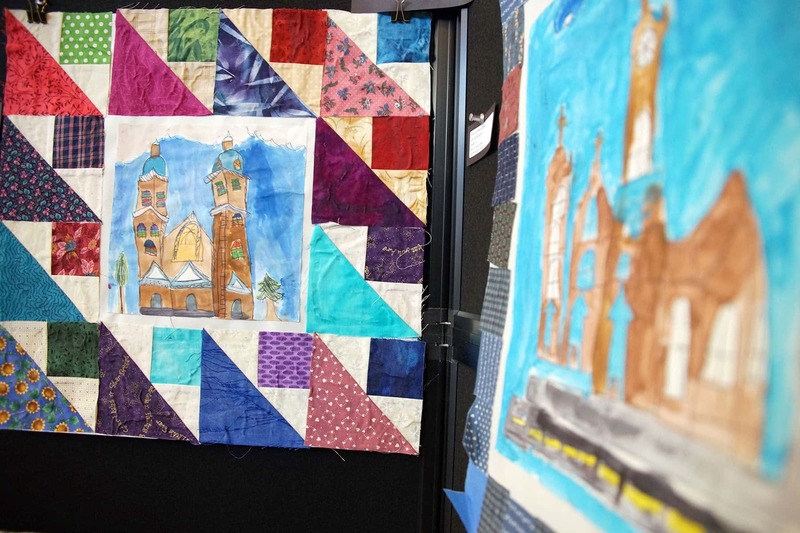 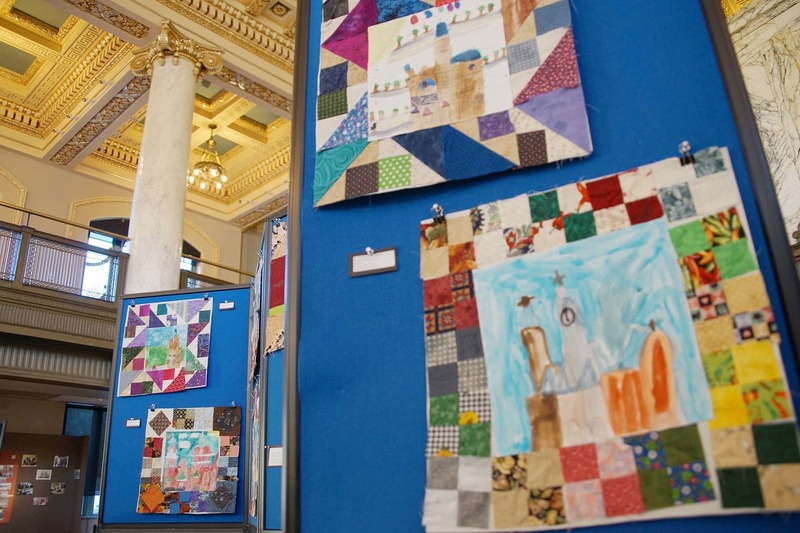 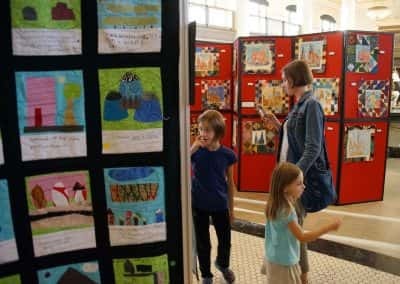 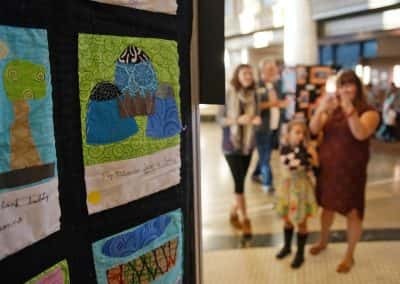 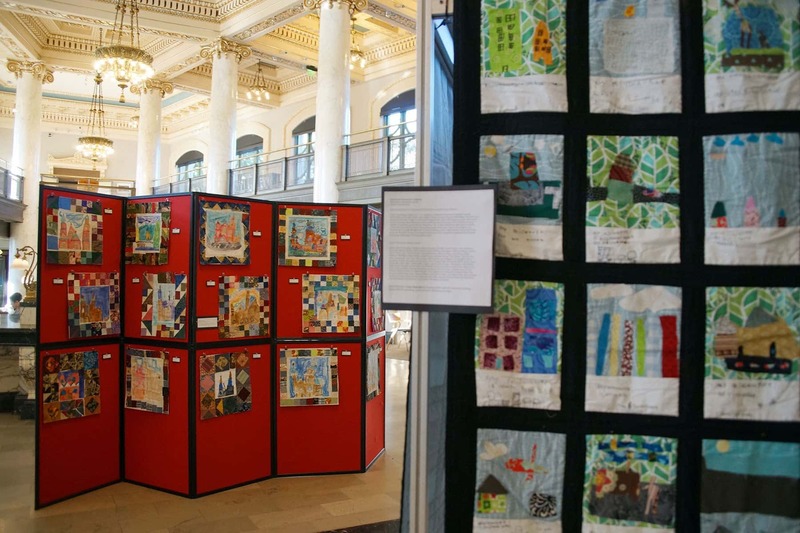 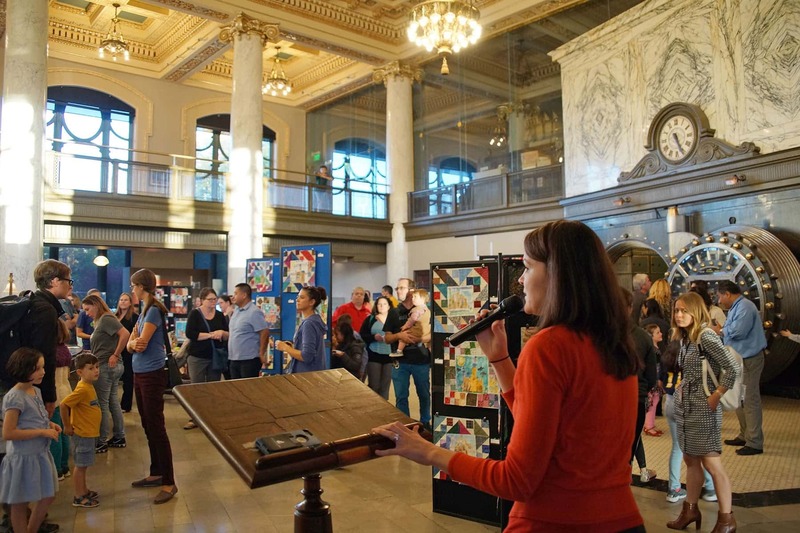 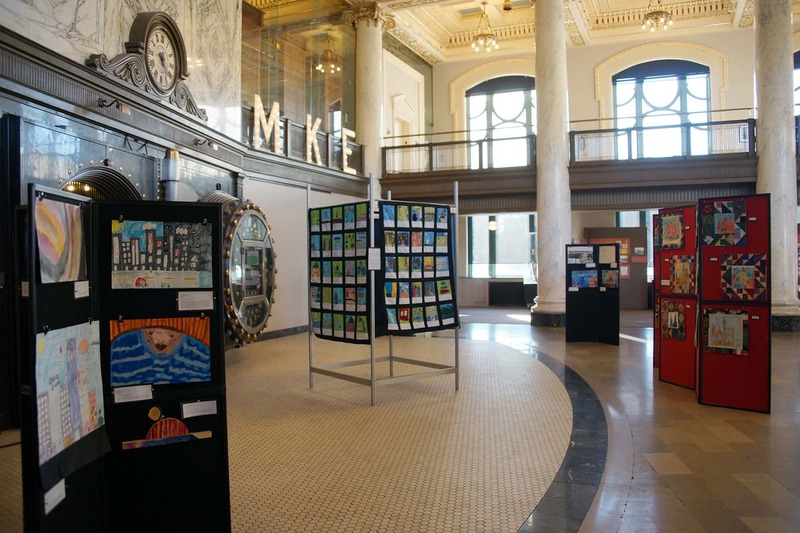 The My Milwaukee exhibit, hosted by the Milwaukee County Historical Society, displayed works of art created with an educational focus on history. 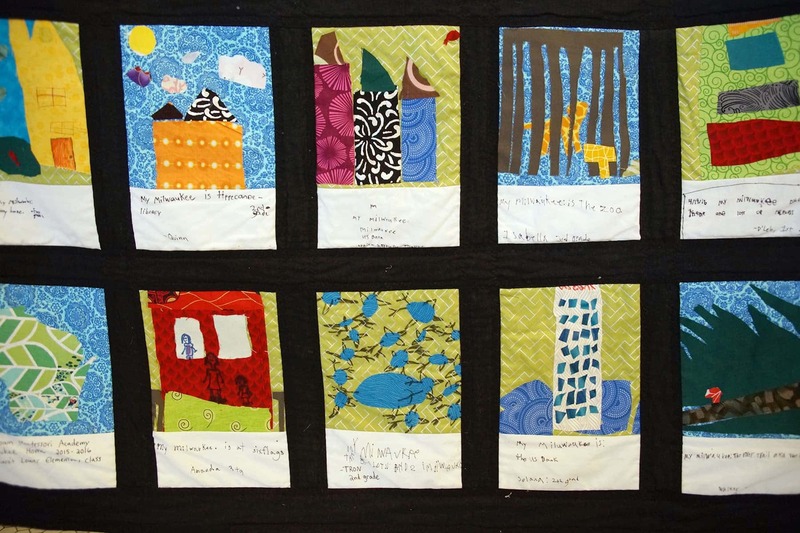 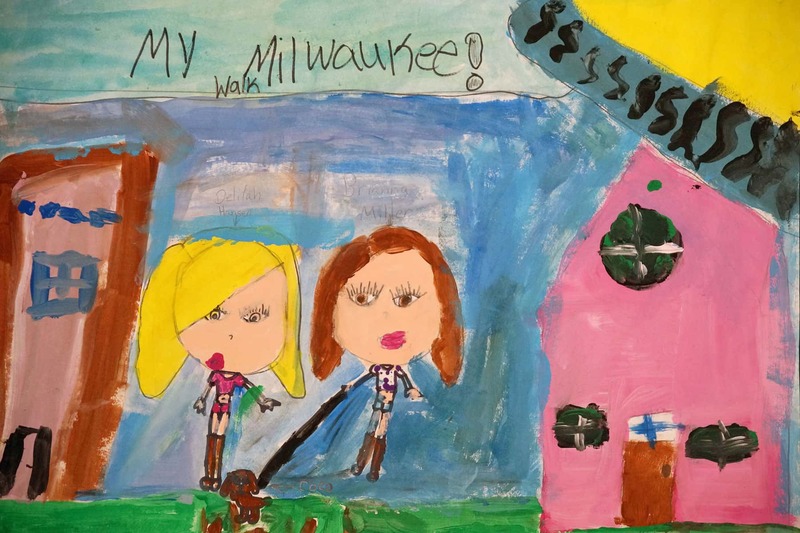 Each piece featured a local student’s visions of their place in Milwaukee. 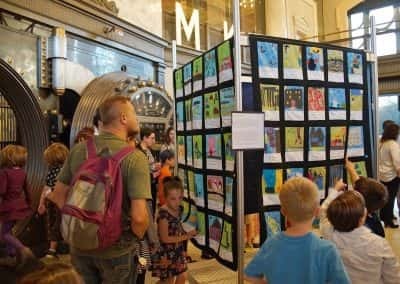 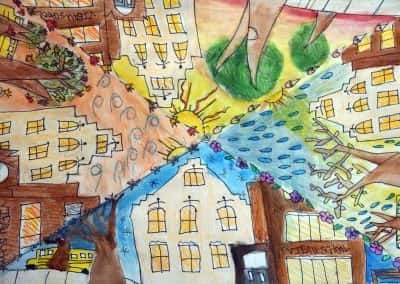 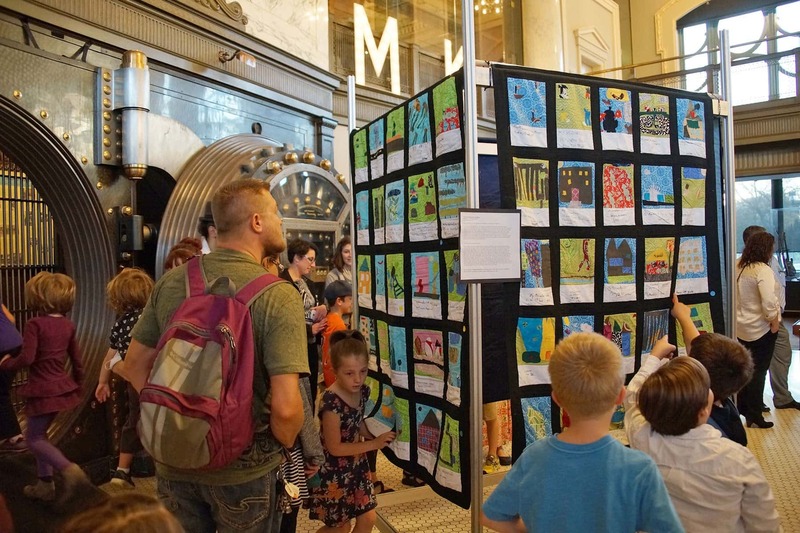 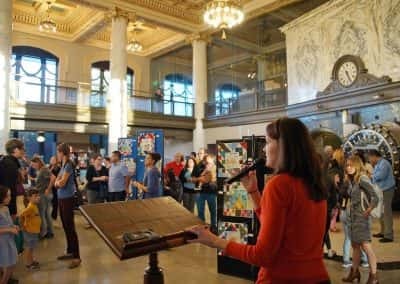 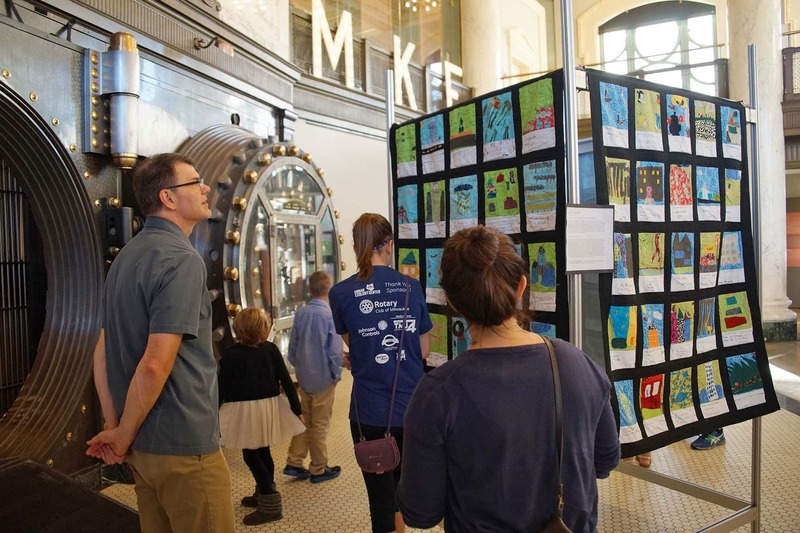 The Milwaukee County Historical Society featured over 100 pieces of student art centered around student depictions of Milwaukee, created during the third week of September. 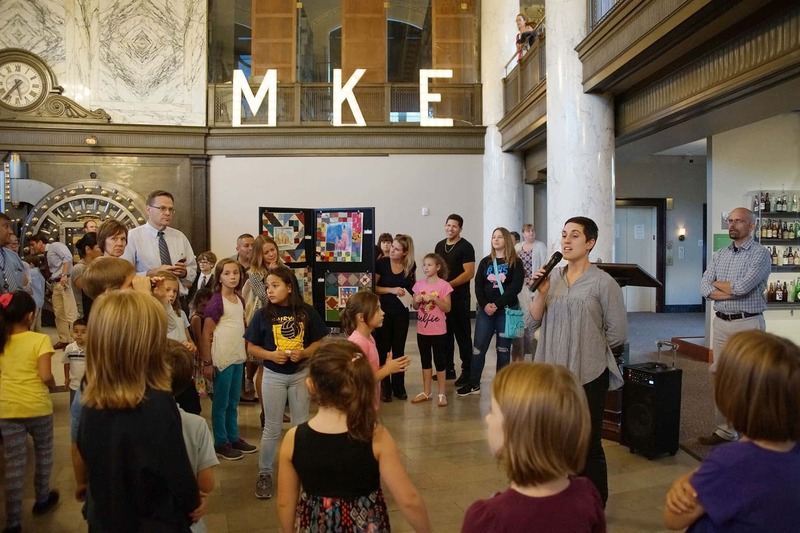 The exhibit, My Milwaukee, was developed in partnership with UW-Milwaukee ArtsEco, an arts education professional development program, involving teachers and students from six Milwaukee schools. 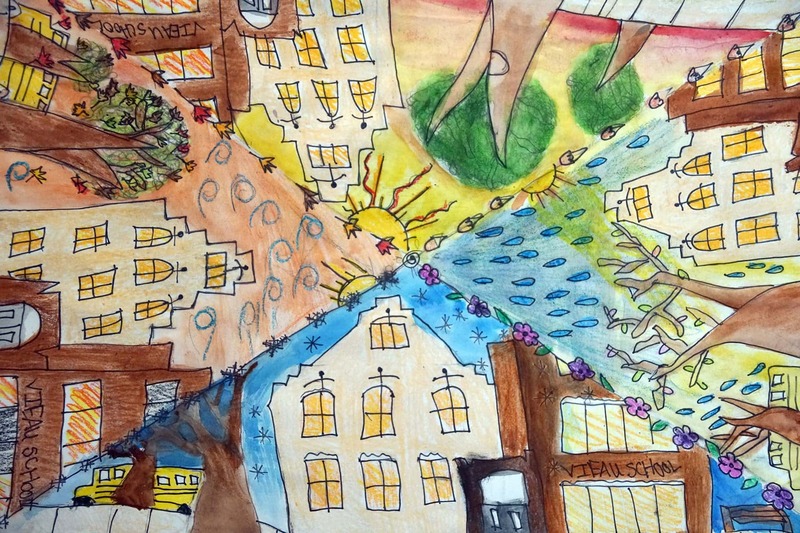 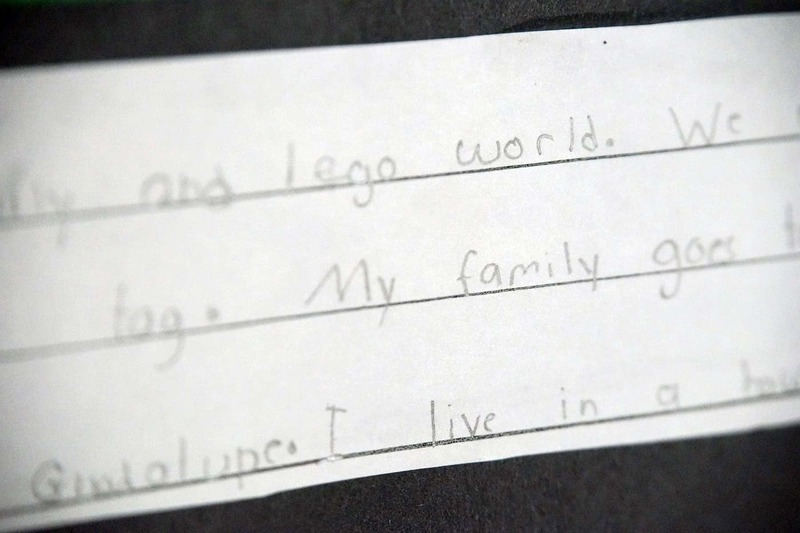 Each student from kindergarten to eighth grade had a unique interpretation of the theme. 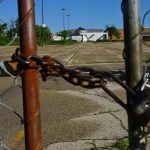 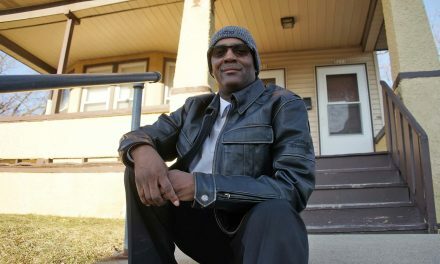 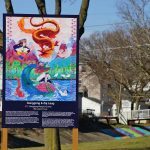 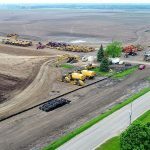 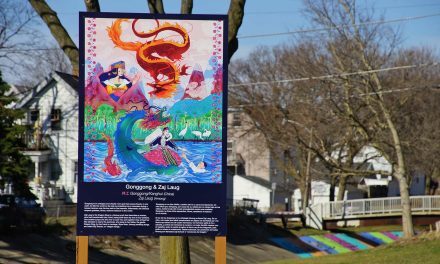 Projects ranged from depicting prominent Milwaukee landmarks like the Art Museum and U.S. Bank building to students own backyards. 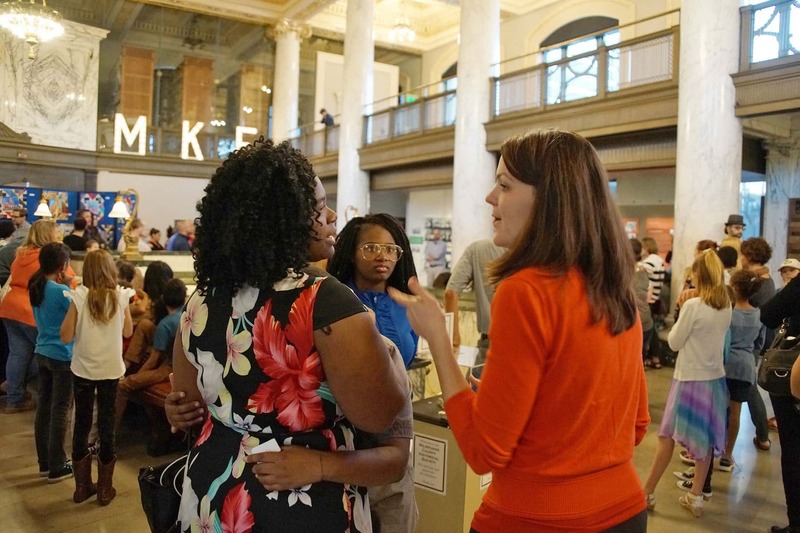 To prepare for the project some teachers included neighborhood walking tours in their curriculum. 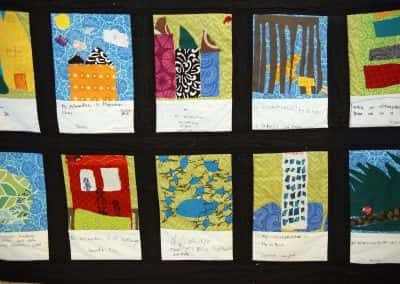 And others, especially among the upper grade levels, encouraged their students to experiment with different mediums. 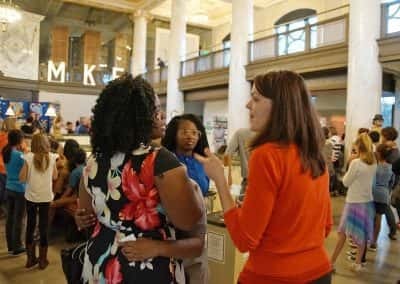 Mame McCully, executive director of the Milwaukee County Historical Society, said that the theme gave the students a unique opportunity for reflection. 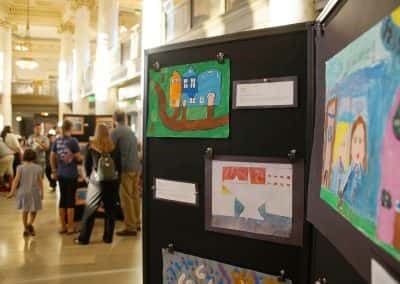 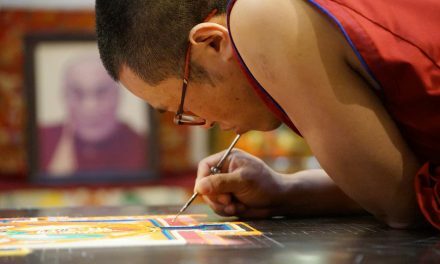 The idea to bring student art to the Historical Society began when the Society hosted one of the ArtsEco program’s monthly teacher meet-ups last fall. 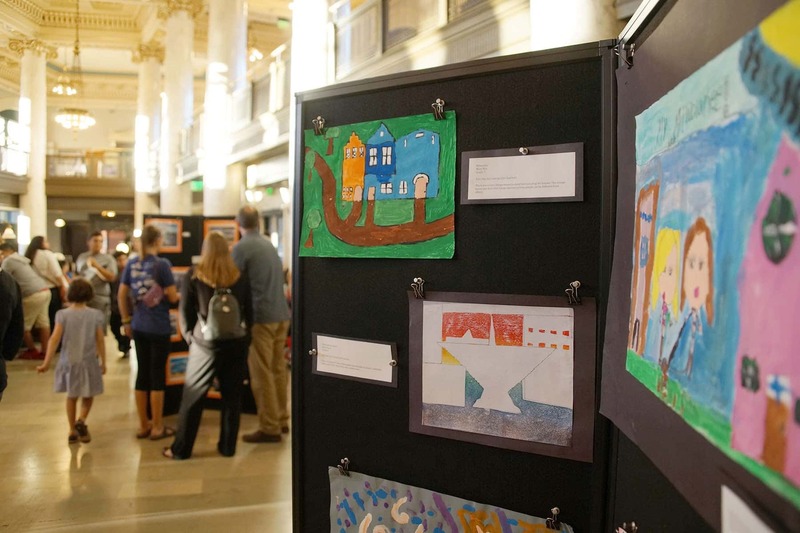 Standing for Arts Education Community Ecosystem, the ArtsEco program supports students training to be art educators and current art teachers in the community. 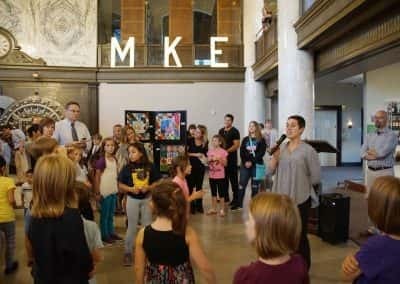 Since educational positions in the arts were cut by 90% in 2011 across Wisconsin, Milwaukee schools compensated by increasing their arts education budget. 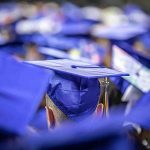 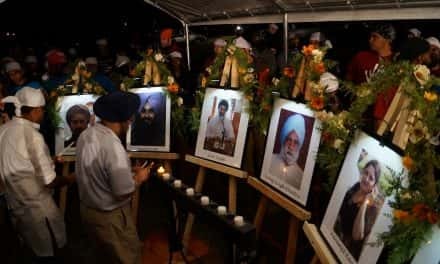 But now, schools struggle to find teachers. 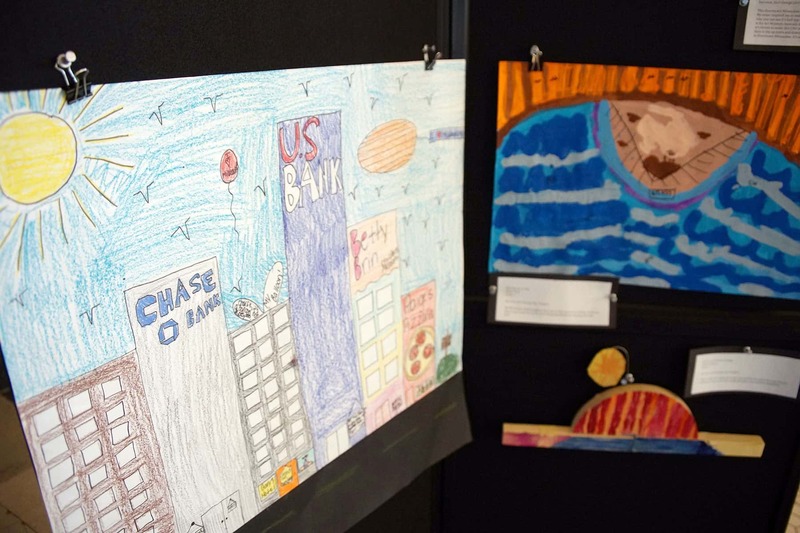 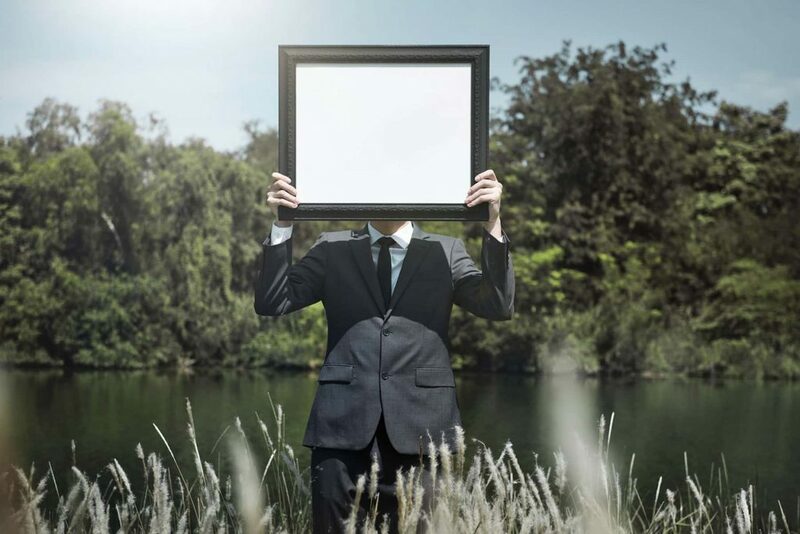 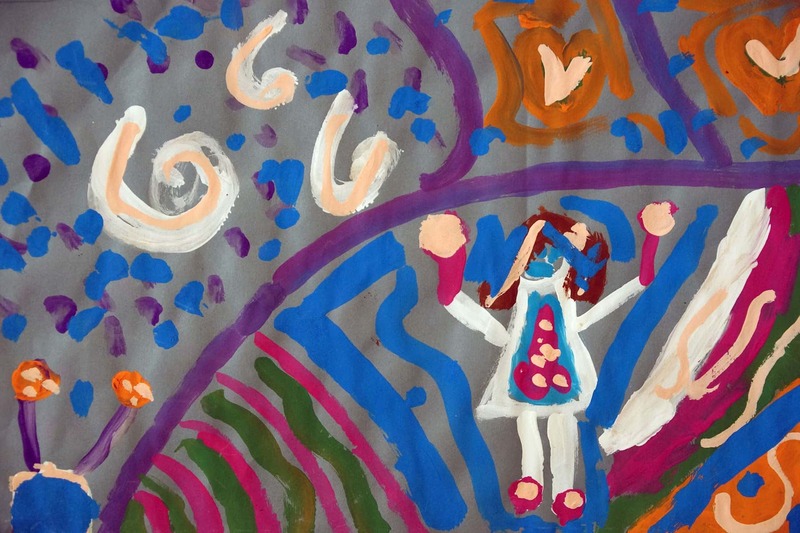 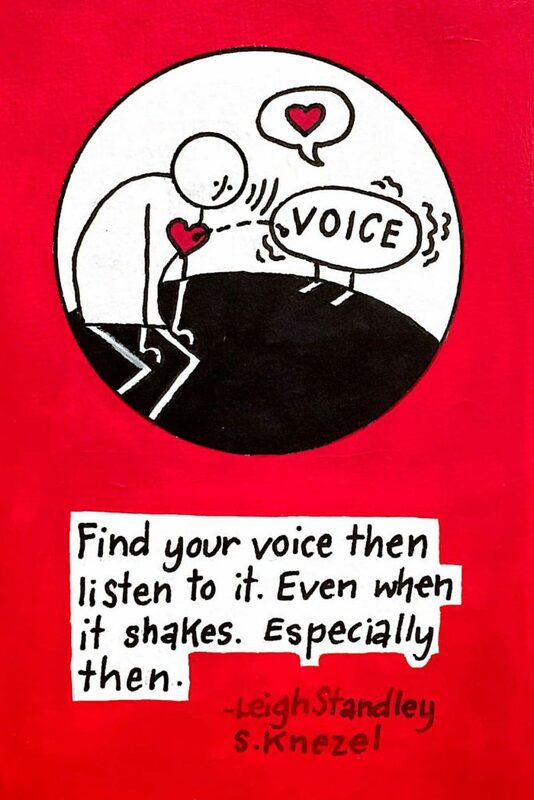 Starting in 2014, the ArtsEco program encourages young teachers to continue in the profession by providing a supportive community for art educators. 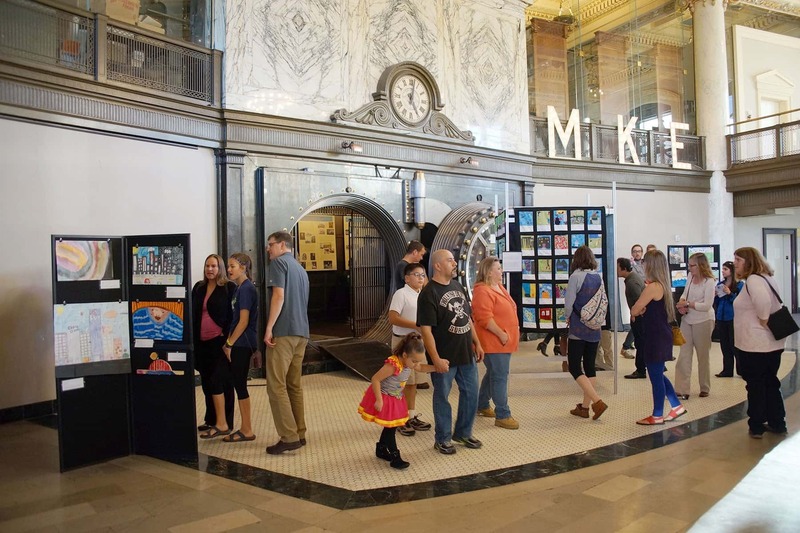 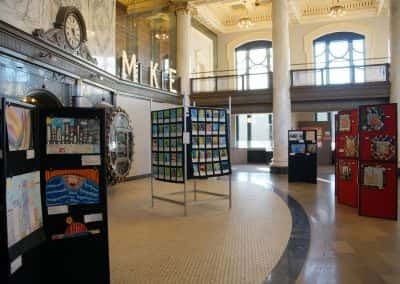 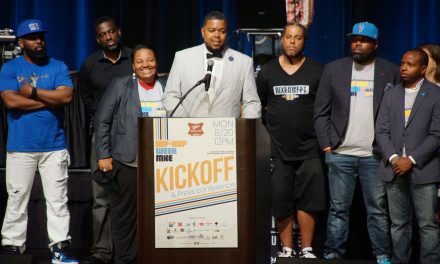 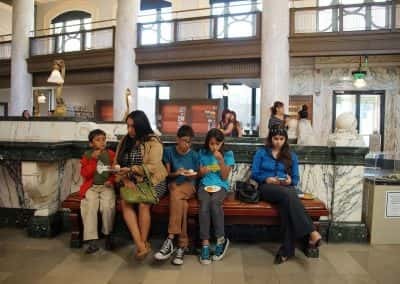 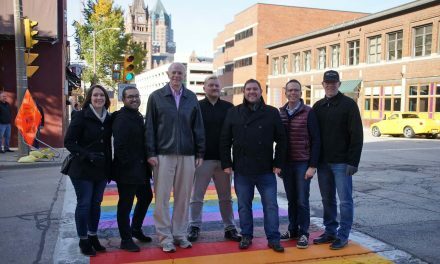 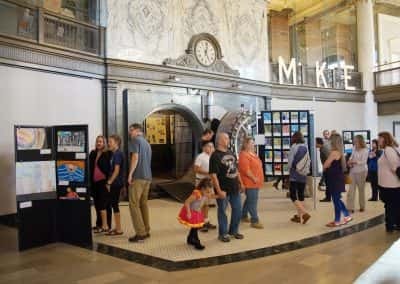 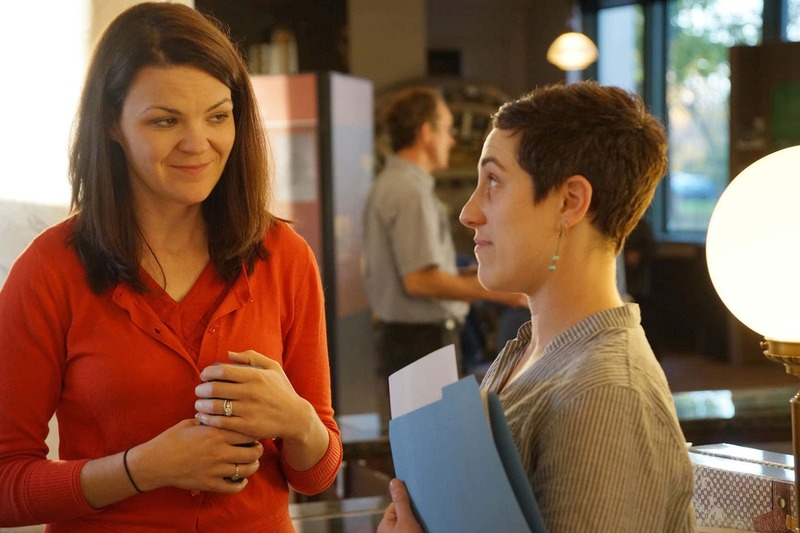 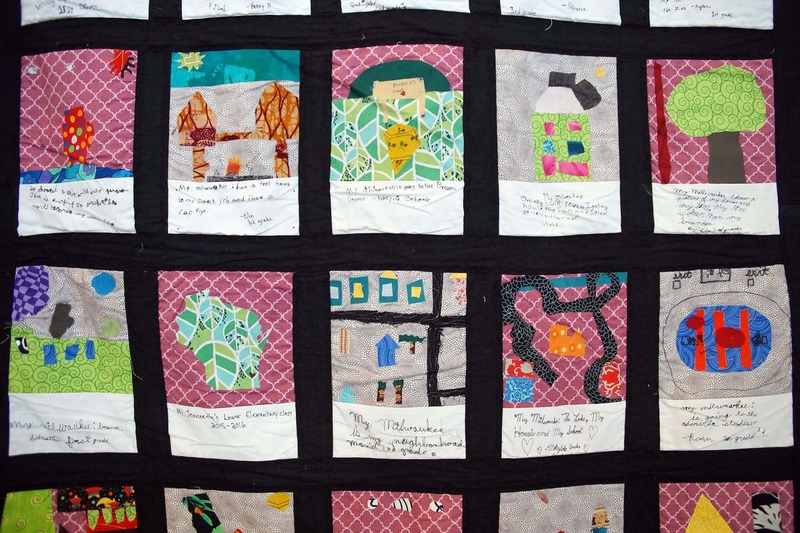 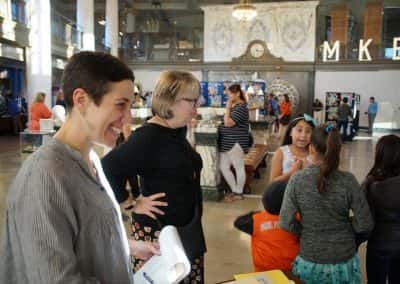 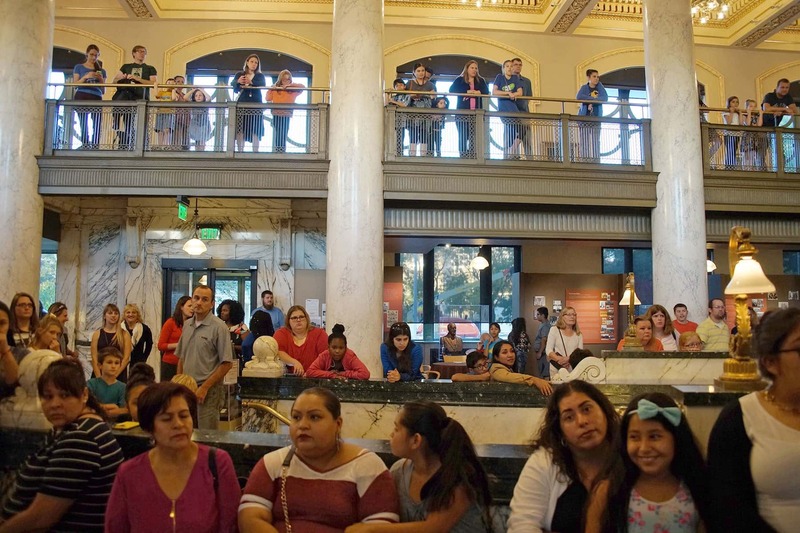 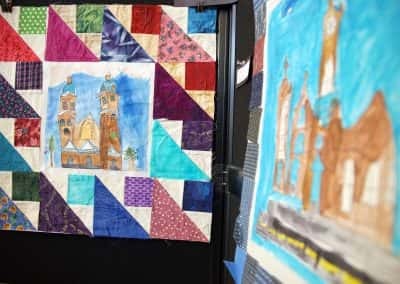 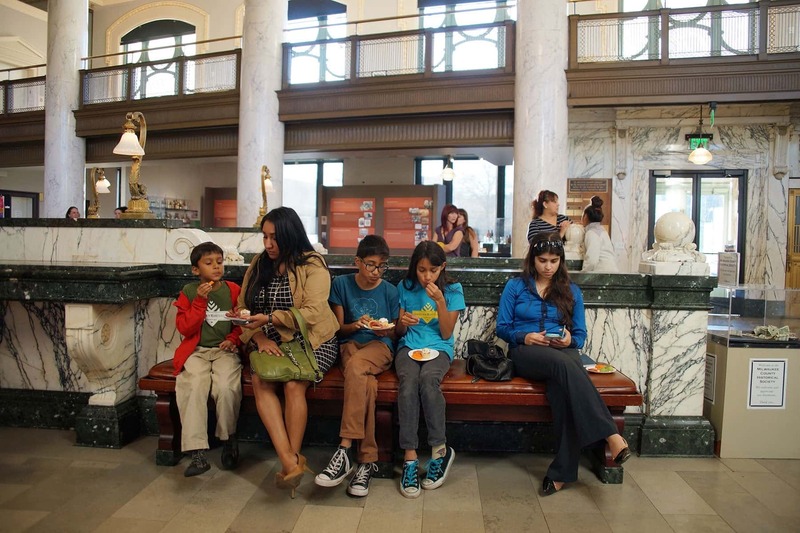 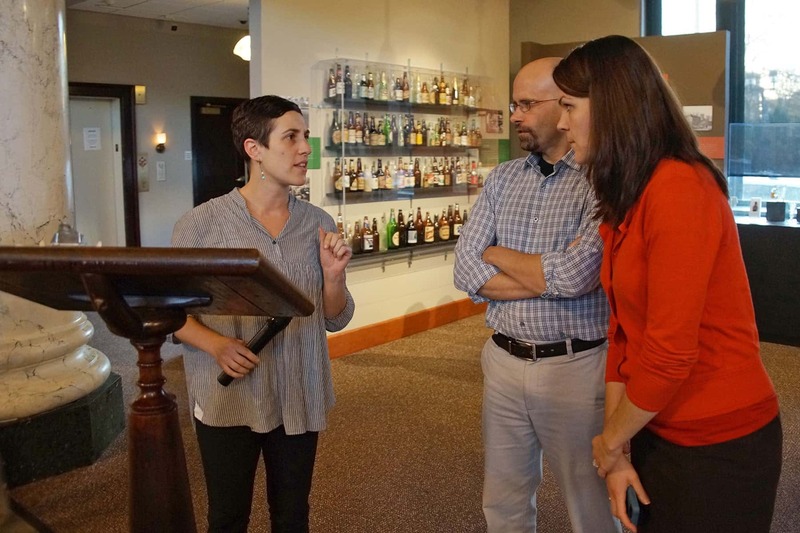 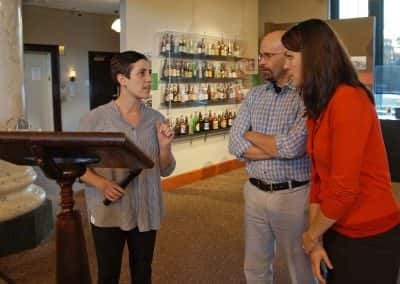 According to ArtsEco executive director Joelle Worm, the My Milwaukee exhibit reflects the program’s intention to increasingly use existing cultural resources in Milwaukee, like the Historical Society, to encourage both teachers and students to consider their relationship with the city. 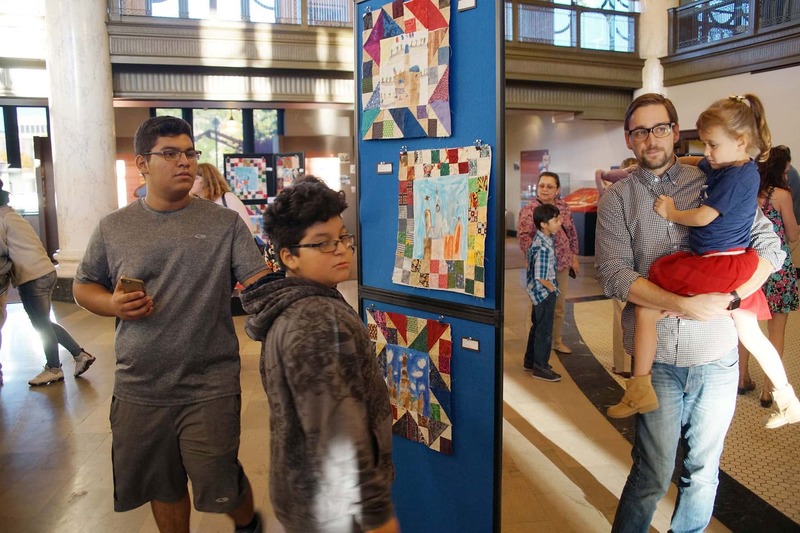 At the exhibit’s opening on October 18, participating students had the opportunity to show off their artwork to their families. 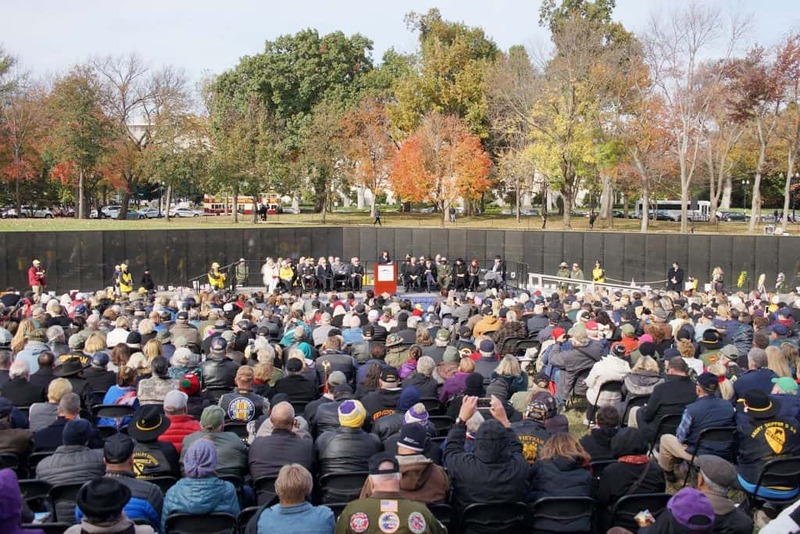 Teachers and school administrators were also in attendance, making a attracting around 250 attendees. 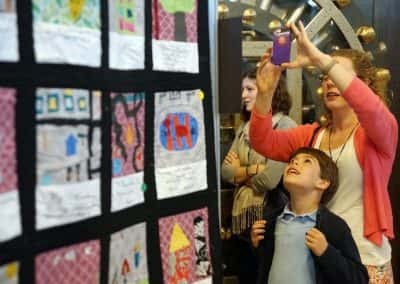 Not only does the exhibit reflect ArtsEco’s goals, it also reflects the Historical Society’s mission in public education. 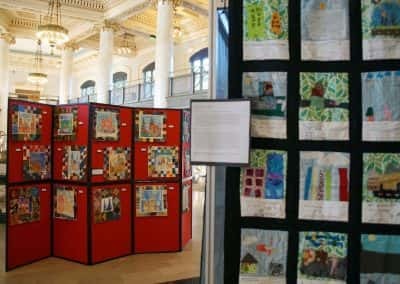 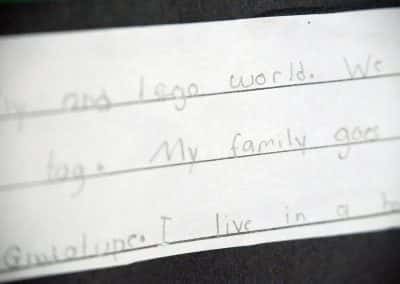 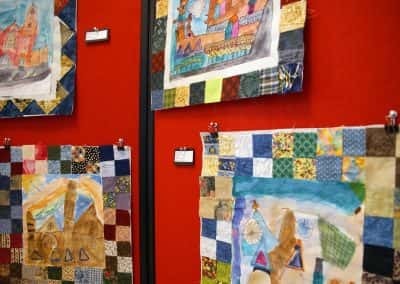 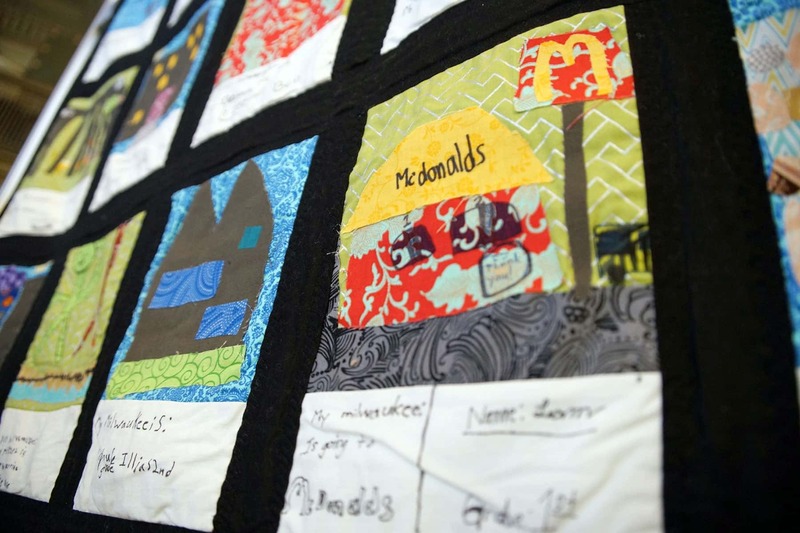 The Historical Society plans to partner with ArtsEco next year for a similar exhibit that includes students and teachers from even more schools. 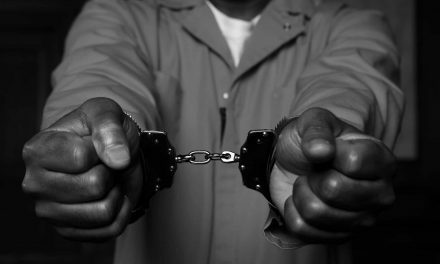 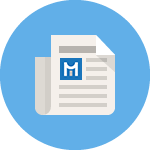 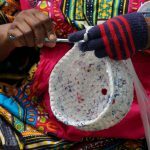 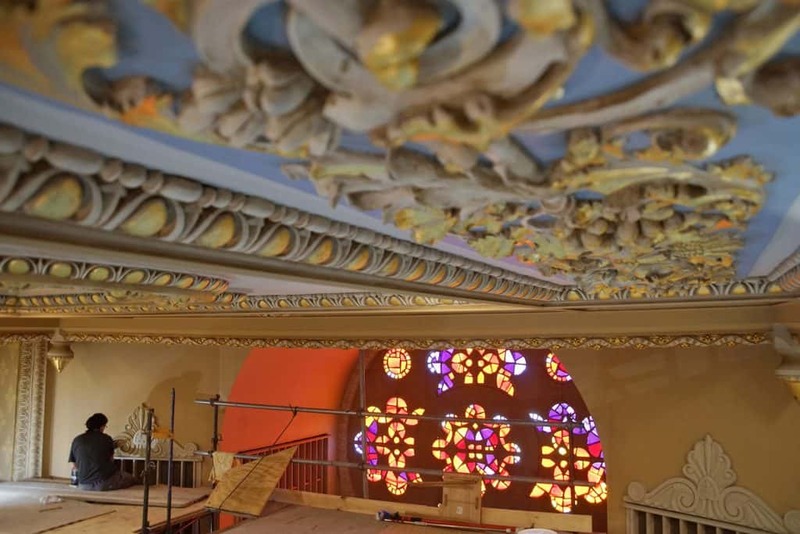 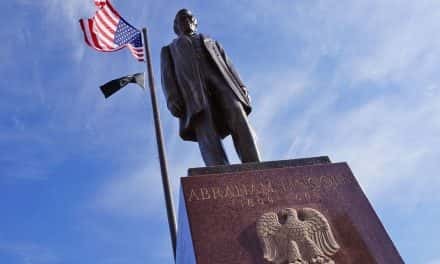 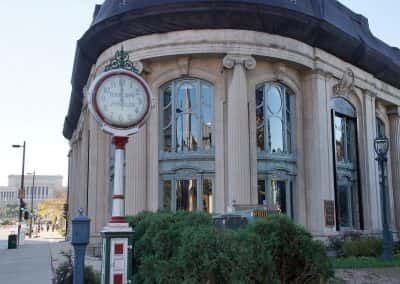 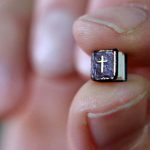 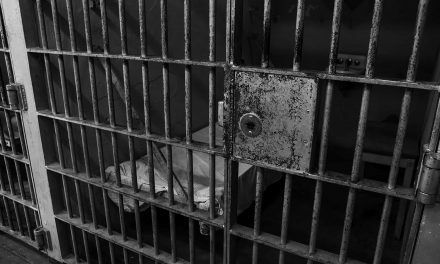 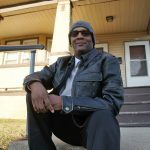 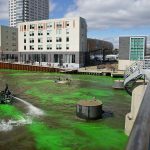 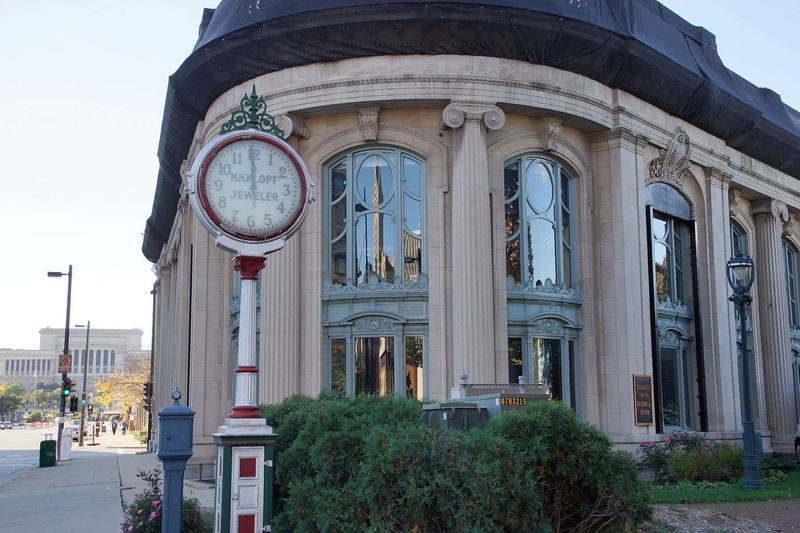 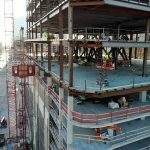 They also have their own educational programs that run throughout the year, such as their holiday events in December when local children can learn about Milwaukee’s past holiday traditions.